With every new tweeted disaster comes the same old question: what is the added value of tweets for disaster response? Only a handful of data-driven studies actually bother to move the debate beyond anecdotes. It is thus high time that a meta-level empirical analysis of the existing evidence be conducted. Only then can we move towards a less superficial debate on the use of social media for disaster response and emergency management. 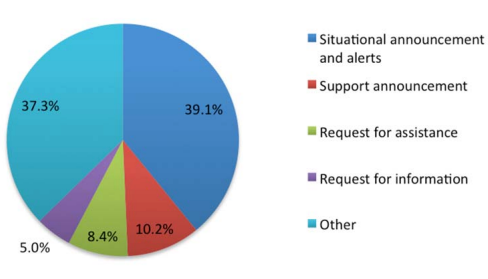 In her doctoral research Dr. Sarah Vieweg found that between 8% and 24% of disaster tweets she studied “contain information that provides tactical, action-able information that can aid people in making decisions, advise others on how to obtain specific information from various sources, or offer immediate post-impact help to those affected by the mass emergency.” Two of the disaster datasets that Vieweg analyzed were the Red River Floods of 2009 and 2010. 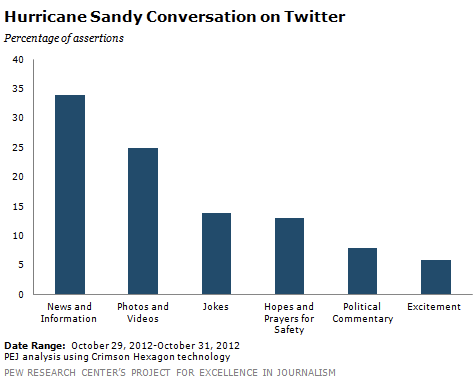 The tweets from the 2010 disaster resulted in a small increase of actionable tweets (from ~8% to ~9%). Perhaps Twitter users are becoming more adept at using Twitter during crises? The lowest number of actionable tweets came from the Red River Floods of 2009, whereas the highest came from the Haiti Earthquake of 2010. Again, there is variation—this time over space. In this more recent study, researchers mapped flood-related tweets and found a close match between that resulting map and the official government flood map. In the map below, tweets were normalized, such that values greater than one mean more tweets than would be expected in normal Twitter traffic. “Unlike many maps of online phenomena, careful analysis and mapping of Twitter data does NOT simply mirror population densities. 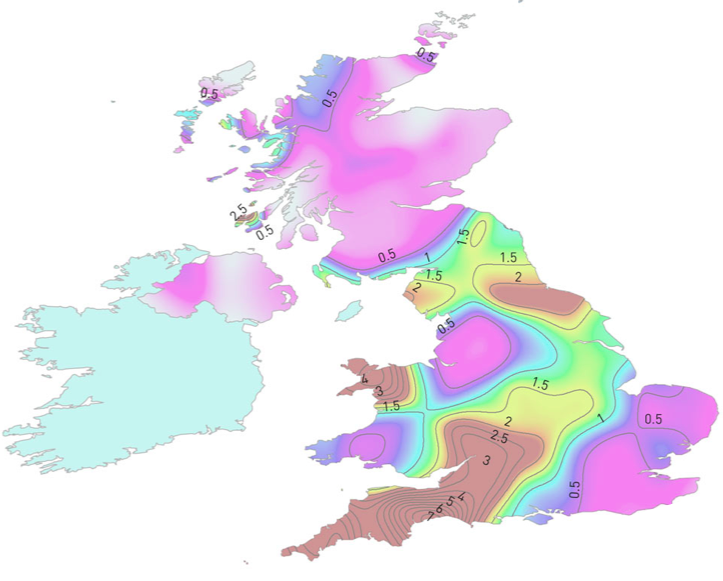 Instead con-centration of twitter activity (in this case tweets containing the keyword flood) seem to closely reflect the actual locations of floods and flood alerts even when we simply look at the total counts.” This also implies that a relatively high number of flood-related tweets must have contained accurate information. So what can we conclude from these few studies? Simply that the value of tweets for disaster response can vary considerably over time and space. The debate should thus not center around whether tweets yield added value for disaster response but rather what drives this variation in value. Identifying these drivers may enable those with influence to incentivize high-value tweets. This interesting study, “Do All Birds Tweet the Same? Characterizing Twitter Around the World,” reveals some very interesting drivers. The social network analysis (SNA) of some 5 million users and 5 billion tweets across 10 countries reveals that “users in the US give Twitter a more informative purpose, which is reflected in more globalized communities, which are more hierarchical.” The study is available here (PDF). This American penchant for posting “informative” tweets is obviously not universal. To this end, studying network typologies on Twitter may yield further insights on how certain networks can be induced—at a structural level—to post more informative tweets following major disasters. Regardless of network typology, however, policy still has an important role to play in incentivizing high-value tweets. To be sure, if demand for such tweets is not encouraged, why would supply follow? Take the forward-thinking approach by the Government of the Philippines, for example. 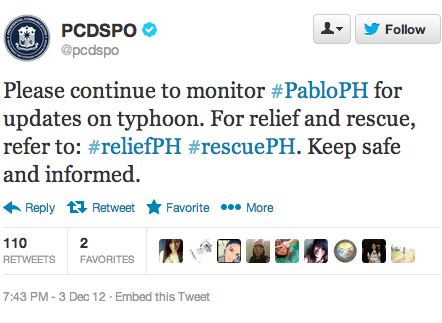 The government actively en-couraged users to use specific hashtags for disaster tweets days before Typhoon Pablo made landfall. To make this kind of disaster reporting via twitter more actionable, the Government could also encourage the posting of pictures and the use of a structured reporting syntax—perhaps a simplified version of the Tweak the Tweet approach. Doing so would not only provide the government with greater situational awareness, it would also facilitate self-organized disaster response initiatives. In closing, perhaps we ought to keep in mind that even if only, say, 0.001% of the 20 million+ tweets generated during the first five days of Hurricane Sandy were actionable and only half of these were accurate, this would still mean over a thousand informative, real-time tweets, or about 15,000 words, or 25 pages of single-space, relevant, actionable and timely disaster information. PS. While the credibility and veracity of tweets is an important and related topic of conversation, I have already written at length about this.